The 1506-DC is a Heavy Duty 2-post Angle Shear. 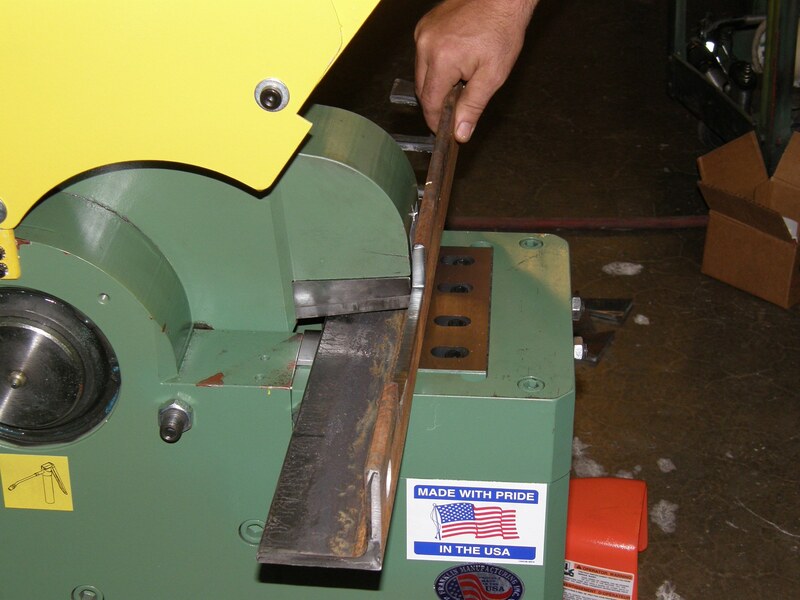 The DC Model is a double cut die design that removes a ½” slug providing and Square and even cut. The 1506-SC is a Heavy Duty 2-post Angle Shear. The SC Model is a Single-Cut design that cut Angle with no slug or drop. Franklin Coper Notchers are available in two standard models. The model CN-100 or model CN-196 Coper Notchers are used to cope angle, channel, and flatbar. The notching can be square or rectangular with the dimensional parameters of the upper and lower die. See the specifications and capacities listed for each unit.